The World Equestrian Games are in the United States for the first time, at the Kentucky Horse Park. It isn’t too late to watch it on FEI TV. Eight riding disciplines are represented, many reflecting old world skills like dressage. Reining is a comparatively new sport, born in the American west, competed on American Quarter Horses, with riders required to wear cowboy hats. International competition was tough and our riders definitely needed their ‘A’ game to prevail. The US Reining Team took Team Gold, Individual Gold and Individual Silver medals. I came to dressage from reining, so I watch with nostalgic interest- it’s a discipline I love and respect. 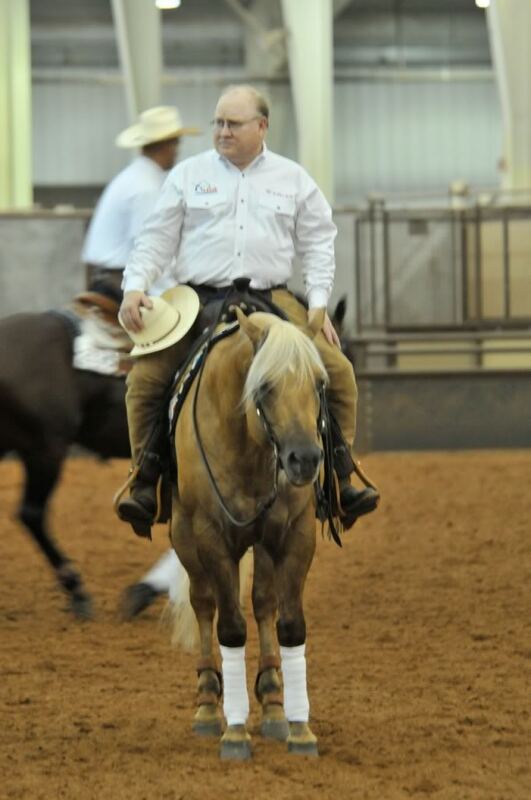 Reining requires absolute forward and a zen-quiet mind- a fine line of control and freedom. It’s riding in the eye of the hurricane, just like dressage. The high score wins in reining. Our team posted big numbers; sometimes in age (37-58 years old), sometimes in girth, but always in scores. It is easy to be proud of these men, who ride with the joy of a kid, and sometimes show a hair-impaired scalp when tipping their hats to a cheering crowd. Sportsmanship, integrity and skill- these guys are true “heavyweights,” as they are proud to call themselves, with a twinkle in the eye. Lots of sports are for the young and thin, but equine sports are not necessarily that way. Riding is about finesse; it uses more brains than brawn. There is no immediate gratification, we are in it for the long haul. Mature traits are required; coordination and consistency for the rider, with patience and perseverance in training the horse. All riding disciplines aspire to that. We are a youth dominated culture in so many ways, and maturity can be a bitter disappointment- but not so in the horse world. Whether we wear cowboy hats or top hats- or hopefully helmets- maturity is an asset for any horse and a rider. Older is better- it takes patience to learn enough of this language to create art with a horse, and maturity to understand that it’s more about the journey than the destination. Riding well is always the best revenge. And it’s good company to keep; riders who take the blame themselves for any shortcomings, but credit their horses for any success. It’s considered good manners, in a dressage barn or a reining barn. In this way, we all share their victory. ← Autumn, Change…and Marilyn Monroe.